One of the major problems that Indian farmers face in selling their produce is storing and dispatching it at an appropriate time. When there is excess production there is also a glut in the market and prices come down to unreasonably low levels. To get better prices, farmers must move produces to large consuming areas. The major consuming areas are big cities and food processing industries that are usually thousands of miles apart. However, moving agricultural produces across the length and breadth of the country or exporting is not a simple job. Raw produces are usually perishables and must be preserved until it is time ripe for realising better prices or moving it over long distances. As a cold storage business owner, you will help to meet the demand for rising cold storage services. A basic problem that all small and even medium-size farmers face in preserving their produce and distributing is lack of cold storage facilities in their locality. However, owing and maintaining a cold storage is not within reach of most farmers in India. High cold storage investment is therefore ruled out for marginal farmers because farm sizes are usually too small to justify any big investment; it is simply not economical. The cold storage business in India is still a long way away in India and not even major production centres enjoy the benefits of a cold storage. The cold storage business in India has been for a long time neglected and often shunned because of the high costs involved and lack of proper infrastructure; but this attitude is fast changing and more businesses are finding it profitable to set up cold storage units that help farmers to preserve their produce for longer durations. If you are looking for a profitable rural-based agriculture-related activity then cold storage investment makes sense. It is profitable and holds big opportunities for expansion. 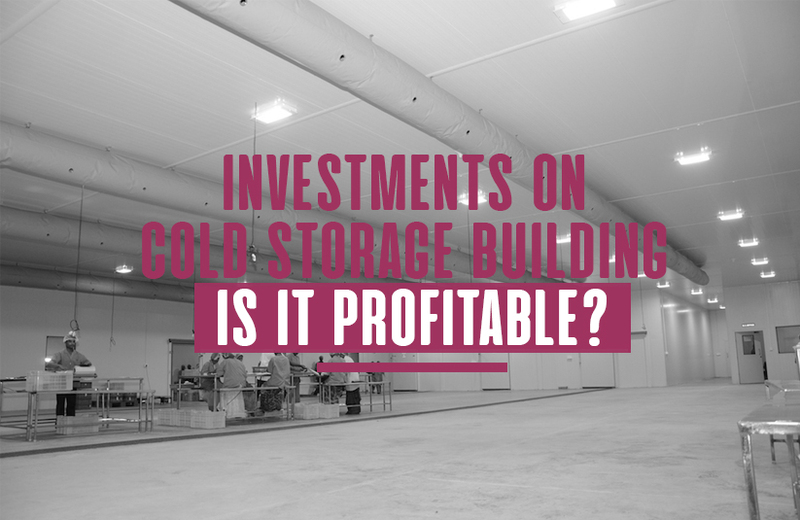 Choose a promising location and do a market survey on potential produces for which you can provide cold storage services. Select an appropriate land. It should be easily accessible and have proper roads and uninterrupted power supply round the clock. Contact cold storage manufacturers and get a firm quote for machinery and erection charges. Contact cold storage construction companies to design the building and other infrastructure related to it. Based on the quote and the costs involved get your investments right. Study the ROI and the time it takes to get the unit up and running profitably. Always provide a time frame for gestation. Refrigerated containers that can be loaded on a truck and then moved across the country. It is primarily used in the export business for moving produces to ocean-bound locations such as an air terminal or a seaport. Basically a refrigerated container can serve the horticulture and floriculture industry. It is also ideally suited for moving vegetables. Refrigerated containers can cost up to Rs. 60 Lakhs without counting the cost of the truck. Blast freezers also known as blast chillers is a solution that farmers will find most useful for storing easily perishable produces such as milk for example. The advantage is, as the name suggests, that it rapidly cools the produce and minimises the possibility of produces going bad. The cost of investment on a blast freezer is around Rs. 150 Lakhs. Milk chilling plants. Milk chilling plants have really big advantages and are a specialised service that you can provide to dairy farmers. Typically a medium size chilling plant can be set up with an investment under Rs.50 Lakhs without counting the cost of land. India has a vast number of cold storage manufacturers who offer standardised cold storage units. However, in most cases, you may want a customised cold storage to meet specific needs of farmers. In many instances you may have to offer multiple services for milk chilling, vegetable storage, and cut-flower storage and so on.